a reason for the hope you have within you. Jesus directs us to venerate the name of the Father. Yet, there is so much more here than an old-fashioned word that we often translate as honor. 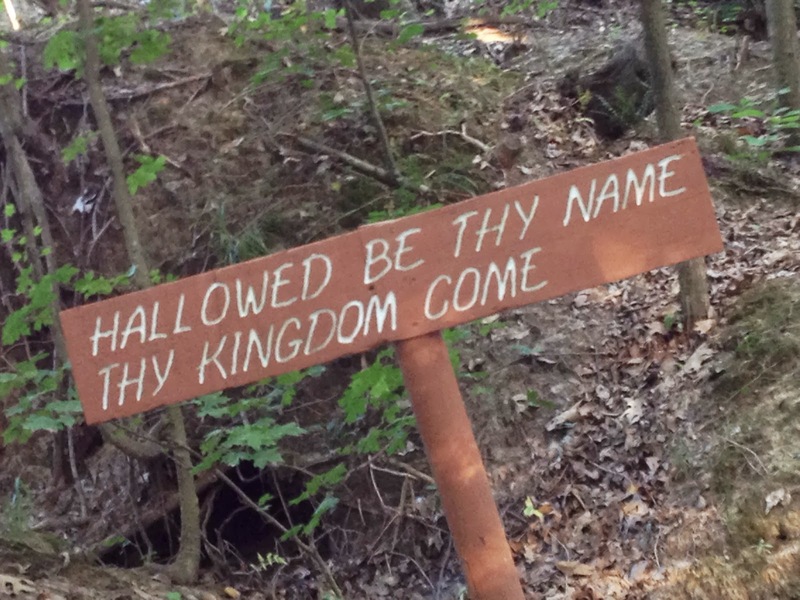 To make God’s name holy is synonymous with asking that His kingdom come. To acknowledge God’s holiness is to admit our need for heavenly intervention. For any human to make God holy would be an absurd request. Jesus knows this, and so He asks us to make God’s name holy, and again this borders on ludicrous, because God alone is holy. Amazingly, He offers us the privilege to represent His reputation. Hallowing God’s name is more than just praising Him with words and accolades, it is setting Him apart in our hearts as the one most worthy of honor and reverence. To revere God is more than just assent, it is actively responding and living out our faith. In the original language the impact of this word takes on a sense of action that I have often overlooked. I thought if I just proclaimed excellent things about God’s name and character, then I must be hallowing His name. However, a deeper look at the origins of the word, require more than proclamation. Our lives must emulate our words. Praying these familiar words take on new meaning, not just mere words to recite, but a call to obedience motivated by love for our holy and loving Father. How are you “hallowing” God with your words and actions?